My dear MB readers, this time we meet Amber. Originally from Long Island, NY, Amber Branch is a 32-year-old entrepreneur. Her growing marketing and consulting company Thee Amber Branch, LLC has been growing and in expanding in South Carolina. 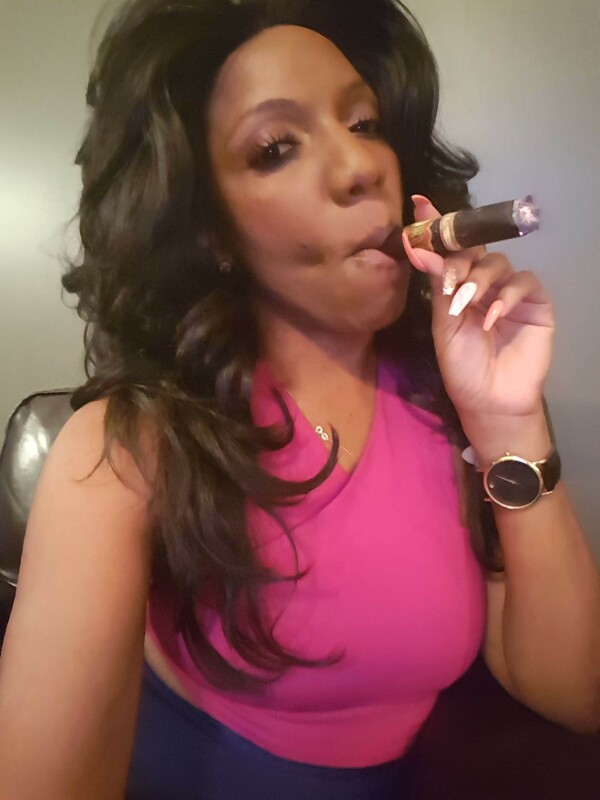 Amber began smoking cigars in Nov. 2015 as a means of networking socially. The experience has been amazing. Before then I never even thought of trying cigars. But as she continued to network she came to like them more and more. In the last few months she has begun to expand her pallate. She loves full body cigars and milds from time to time. 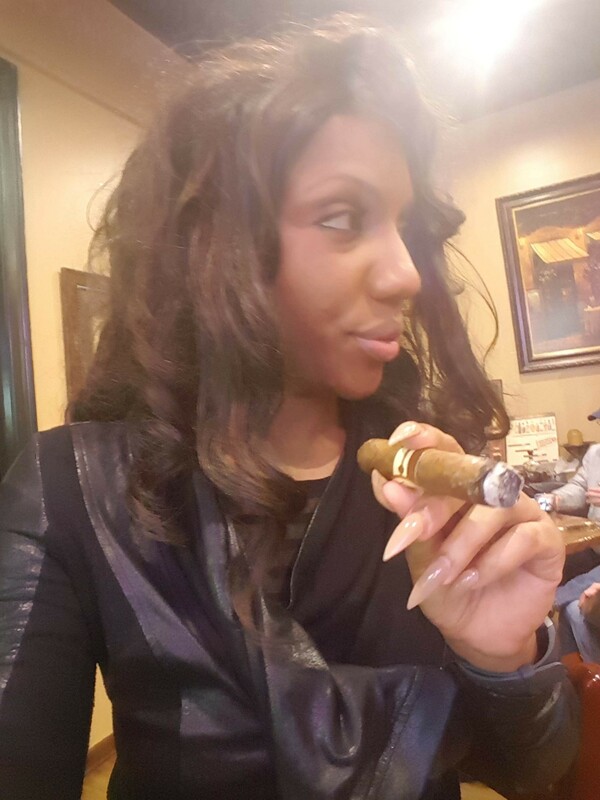 In October 2016 she joined Jeneff Cigars as a new cigar rep. In the future she hopes to become a reviewer. 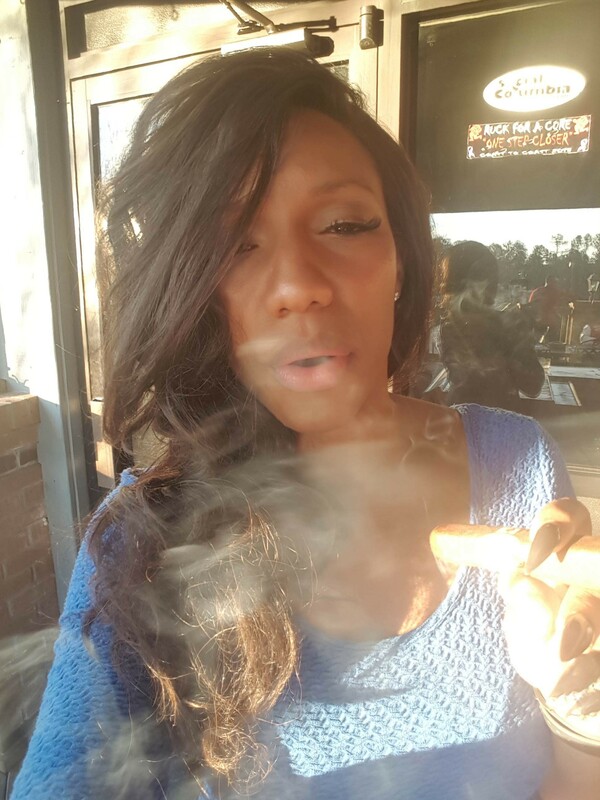 For now she’ll continue to host her Cigar and Cognac networking events in the Carolinas. 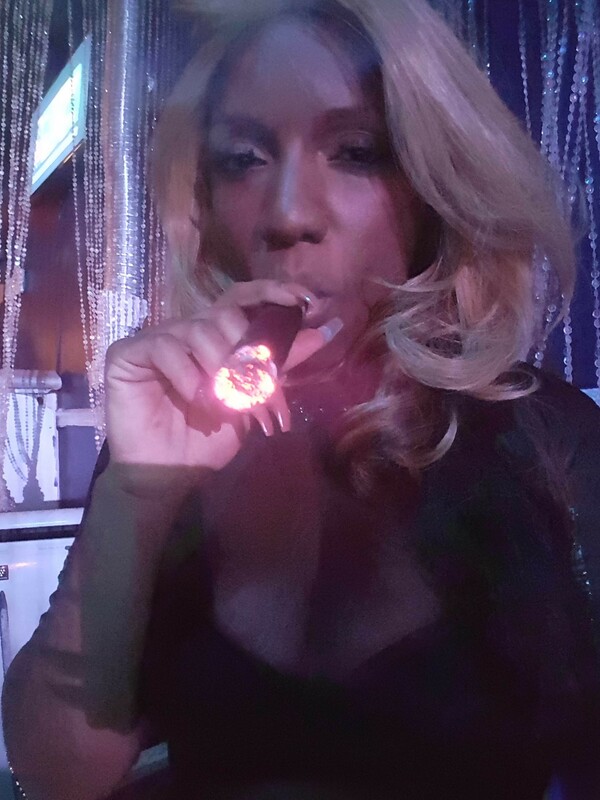 When did you start to smoke cigars? Do you have a favorite size? No I don’t have a favorite size as long as it a good smoke. When do you start your first cigar of the day? Lol. This of course depends on the day. But I usually smoke in the early evenings. Do you have a special place to smoke? Not at the moment. I have different shops that I visit. But I love to smoke outside especially in fall. How many cigars do you smoke per day? I usually smoke two a day. Suggested a pairing with a cigar. I love craft beer and cigars. But my suggestion is the Liga Privada No. 9 with Legal Remedy’s White Mocha Stout. Amazing combination. Thank you very much Amber for your time. Good ashes.